Using gift bags for presents is the "in" thing right now. It is so much easier than wrapping a present! But, have you ever been in a situation where you just can't find a bag? Sometimes I think that I have one at home that I can use and then I find out that I don't! Or, I don't want to pay $4 for ONE bag. The solution? Make your own! Go to Walmart and pick up a package of kraft or white lunch bag sacks (or if you want a larger size you can also get plain gift bags with a handle--white, kraft or multi-colored--in the craft department). They are very inexpensive and you usually get around 100 of them. Now, you can alter the bag however you would like and as long as you have a plain sack or bag around, you know that you will have something to put a gift in! For this bag I stamped the paisleys with the TAC "Paisley Rockz" set on the pink "Pop Rockz" paper. Then, I glued it on with Designer Dries Clear Glue (awesome glue for papercrafting!!). Then, I took my oval coluzzle (remember how much I love that thing?) and cut the hole in the top of the bag. This was simple. The bag is so thin that it is fairly easy to cut through all 3 layers--just be sure to put a little pressure on your knife. I also glued a second piece of Pop Rockz paper on to the bag. The monogram is from the "Pop Rockz" paper pack and is adhered with Pop Dots (a staple item for me!) and then tied with a ribbon. The sentiment is "Static Words" and is stamped with Bordeaux Palette Ink and then cut out with deckle scissors. I finished the bag off by tying ribbons around the top of the oval. You could also stamp on the bottom of the bag if you wanted. You could make these bags for all kinds of themes--birthdays, graduation, Mother's & Father's Day, Baby Showers, Just Because, etc. And, your friends will appreciate them because you made it especially for them! Dandelion Snowflakes & a Challenge!! Do you have any snowflakes stamps in your collection? Did you know that you can use some of those snowflakes to make dandelions or other flowers? I've wanted to try this before but haven't thought about it for quite a while. 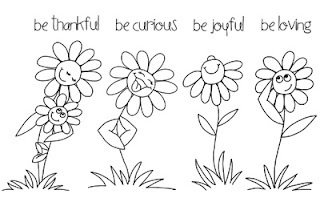 While checking out some blogs, I saw this card by Natasha and decided that now is the time to let my dandelions grow! I used one of the small background stamps from the TAC "Winter Flakes" set as the yellow background (used Sunflower Palette Ink) to the dandelion and then stamped one of the snowflakes from the "Snowflakes" set and the snowflake from the "Tis the Season" set (Fall Supplement set) on top in Burnt Umber Palette ink. The grass is from the Spring Fling Set "Happy Bug Day" and then I used the little leafy stamp from "Deco Designs" as filler. The dandelion stems cames from the "Fanciful Flowers" set. After I had finished stamping, I used the TAC Corner Rounder and rounded the top two corners of the image piece and also the two corners of the card. I also stamped the yellow & brown dandelions a couple more times on another piece of paper and then took my 1/2" circle punch (I use that thing a lot!!) and punched out 2 of the flowers and then adhered them on top of 2 of the dandelions using pop dots. All of the papers are Bazzill papers that The Angel Company sells. The sentiment on the card came from the "Great Greetings" set. I know that it is probably hard to see, but each of the different colors of paper (including the brown) is outlined using Jumbo Java VersaMagic Chalk ink. This adds a little more color to the card and finishes it off. If you would like to see more of the detail in the card, click on it for a larger view. CHALLENGE: What stamp sets do you have in your collection that you could use in different ways? 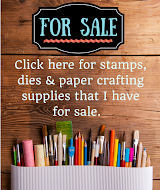 I challenge you to choose a stamp set and use it in a way that it wasn't originally intended for and in a way that would be considered "out of the box". Upload your card to a gallery or to your blog so that we can all see what you have come up with and post a comment on my blog with the link to that card! Let's inspire each other! I've been tagged by some blogging friends a few times and I am suppose to tell 7 things about myself and also share some blogs that I enjoy reading. I'll tell you about those in a minute. First, in honor of being "tagged" I decided to stick with the theme and share with you a card that I made using a tag! This card is made using the new Spring Fling Stamp from TAC called "Happy Bug Day". I LOVE this stamp set. It is so cute! You can see all of the images in this set by viewing the slide show at the top of my blog. This is a set that could be used for kids or adults. On this particular card, I used my coluzzle to cut out the large circle and then trimmed the side to make it line up with the edge of the card. The tag is chipboard that was cut using the Big Shot Die Cutting machine (available through The Angel Company) and the tag die that comes with the machine. I colored the lady bug with Tombow Markers and stamped and then used the Landscape & Jardin Moss Palette Ink to color the grass. The tag is adhered to the card using pop dots. The white dots on the red circle are made with the White Souffle Pen. To make the strip at the bottom, I punched out nine 1/2" circles and then adhered them to the back of the red cardstock strip using Red-lined wonder tape. For more information on how to create the scallop look, refer to my previous post. 1. I used to be on a drama team in college. We traveled all over during Spring Break and also performed in churches during the school year. I was the lead part in 2 plays and played supporting roles in 2 others as well as performed in numerous skits. 2. I've been scrapbooking since I was in Junior High school and stamping on and off since high school. 3. I was the salutatorian of my high school class and gave a speech at graduation. 4. I am a demonstrator for The Angel Company and used to sell Usborne Books. 5. 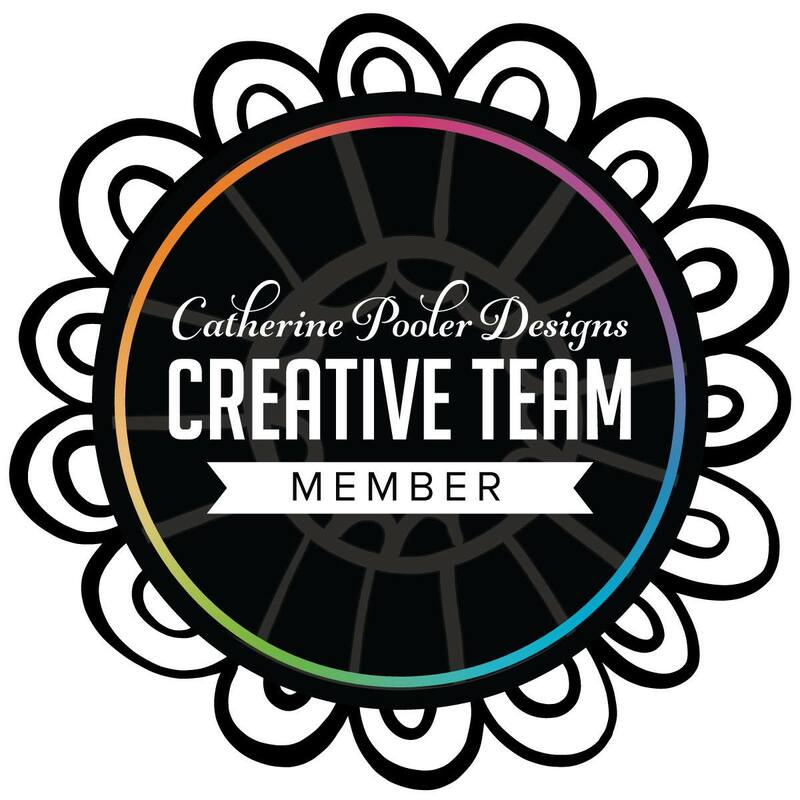 I am currently a stay-at-home mom but previously worked at the Corporate Office of Bott Radio Network and KCCV Radio in Overland Park, KS (Kansas City). I am also very active in our church. 6. I've attended Ponca Bible Camp in Ponca, Arkansas every year since I was seven (except for a handful) as either a camper or counselor or staff member of some sort. http://www.poncacamp.com/ I love this kind of camping but I hate to camp outdoors in tents! 7. I have a 4 1/2 year old son Mason who is a lot of fun and very, very active!! I would like to have another child eventually. Ok, so I tried to find some things that maybe weren't all common knowledge. Sorry to bore you ! I was also tagged to share 5 blogs that I enjoy reading. I am going to try to mention blogs that I haven't seen listed yet. I love to check out these blogs for inspiration! Well, thanks again for visiting! Please let me know if you have any questions about anything that you've seen on this blog or if you have any questions on The Angel Company products or would like to place an order! Have a great day! Scallop punches are all the rage right now. However, they are very, very difficult to find. If you don't already own one and want to achieve that look, I can help! I figured out a way to mimic the look of the scallop punches. Granted, it isn't as easy as just punching the shape out, but it is still pretty simple and it looks great! Here is a card that I made using a "scalloped" oval. The oval and the sentiment are on pop dots. The wings of the bee have crystal stickles on them and the flower and leaf are colored in using glaze pens. The black paper is stamped on using the TAC "Swirly" background stamp, the bee is from the "Seeds of Blessing" Hostess set and the sentiment is from the "Be" set. The paper is "Hip Hop" also by TAC. Directions on how to make this scallop are below. **If you don't have a coluzzle, you can use a regular circle, square or oval punch in the size you would like or print out an oval from the computer, cut it out and use that as a template. A few notes about the coluzzle: I love this tool. However, it does take a little practice at first to get comfortable using it. Take a piece of scrap cardstock and practice cutting. To use, put your mat on the bottom, then the cardstock that you want to cut. Next, put your template on top of that. Choose which size you want to cut out. I take a sharpie marker and go around each oval or circle with a different color so that when I am trying to line the image or paper up, I know exactly where I am cutting and it is easier to see the lines. 2. Using the swivel knife, cut out the size of oval that you want to use on your project. 3. After you have finished cutting the oval with the swivel knife you will have 2 tabs on the sides of the cardstock oval that you will need to cut. The best way to do this is with a very sharp pair of scissors with a fine-point tip. This is to detach it from the cardstock and it will look like the oval shown at the left. 4. Take the 1/2" circle punch and punch enough circles to fit entirely around the outside of your oval. Use the same cardstock that you cut the oval from. For this size of oval I used approximately 15 circles. You can achieve the same look with larger scallops by using a larger circle punch. 5. Take the red-lined wonder tape (this stuff will hold everything! It is so sticky and strong!) and apply it to the outside edge of the oval. 6. Take the red-liner off of the tape and start applying the circles to the tape. For slightly different looks on other scallops that you make you can put the circles closer together, farther apart, hanging over the edge farther on your oval or farther in on your oval. 7. This is what you have when you turn the oval over. To finish the scallop off, take a piercing tool and poke little holes into the center of each scallop (shown on finished sample at the top of this post). Simple! I want to say thank you to the ladies who came to my first class last night! We had a great time and I hope that I'll get to see some of the waterfall cards that you make sometime! I had a card kit ready for everyone to work on as they were waiting for others in the group to finish up. I think that everyone finished about the same time and no one needed to work on the card at the class. So, if you were at the class and you can't remember how to assemble your card, here is what it looks like. I used a Flourish stamp (TAC) on the left-hand border of the card stamped in Seascape Palette Ink. (That is the only part that was not stamped out for you already.) That part is optional, so if you don't have that set, you can just leave it blank or substitute another stamp in its place. The stamp set that the rest of the images came from is called "Pull Up Anchor" from The Angel Company (TAC) and I used watercolor pencils to color the images in. I also took a black micron pen and made the doodles around each of the circles. Pretty simple card! The circles, by the way, were punched with the 1.5" Extra Jumbo Circle punch that is also available in the TAC catalog. Hope that you had a good time! I'm looking forward to planning the next class! Trouble With Matching Colors NO MORE!! Sometimes it is hard to find just the right color combination to use on your cards. 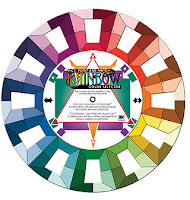 I have a color wheel that I often pull out and refer to that gives me a few options of colors that match. Usually what I do is to decide what my main color will be and then build the rest of the colors around that one. I will refer to my color wheel and find which colors compliment each other or which colors are opposite. There are several different ways that you can find colors that work well together. I was recently directed to a website through A Shade of Blue that is AWESOME for picking and matching colors! I love it even more than my color wheel even though I haven't had much of a chance to use it yet. 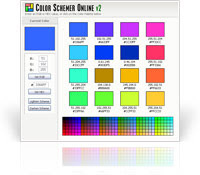 It is the Color Schemer website that you can visit by clicking here. This website will allow you to choose a color and then it will give you several other colors that match. Simple. Easy. If the color that you want to match is close to the color on the screen but you need the screen color to be slightly lighter, it's no problem! Just click on the button that says "Lighten Scheme" and Wala! you now have a lighter color scheme. If you want it darker, click on the "Darken Scheme" button. You can manually change the numbers of the colors to create a different color--I'm still learning about how that works. The other feature that I love on this website is their Color Scheme Gallery!! It features current color schemes and they have a huge gallery full of various color options. In fact, right now it features over 2,000 color schemes! That's a lot of inspiration!! And, if you happen to find a color that you really like you can do a search to see if there are other color schemes that use that same color. You can search by color number (you can find the color number by holding your mouse over the color box) or you can do a search by word. I typed in "tulip" and got a few really pretty color combinations. This is a fun program (and free)!! This one is fun too! Lots of color schemes here too! There is a color combo box on the right-hand side of this page that lists a lot of different colors. Click on a color. I tried light blue. That took me to a page that had a lot of different color schemes using a light blue color of some sort. I found a color combo that I liked and clicked on it. This took me to another sreen and made those colors really big. At the top of the screen there is a drop-down menu that says "Other Options". One of the options is "Get Complimentary Colors". After selecting the color that I wanted the colors for, it gave me a chart of colors that matched the one that I had selected. Cool!! There was even a place that would grab the colors off of my blog and match them which is shown below. Do you ever look for inspiration in the beauty around you? When you pull out your flower stamps, do you find yourself always reaching for the pinks and purples? Angie posted a website on A Shade of Blue that shows color combinations for various flowers. This is a website that actually sells flowers!! 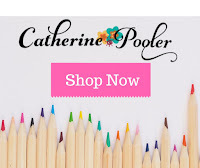 But, it is a great resource for colors to use with your flower stamps. Take a look at THESE tulips! Gorgeous! I never would have thought to stamp a red & white tulip. If you are stamping roses and you want to find color combinations for roses, do a search for "roses" and see what you come up with. Here is a flower arrangement that I thought was gorgeous that I found by doing a search for flowers. Very pretty color combination! Can you imagine how beautiful that would look on a card? Well, now that you are overloaded with ideas for color combinations I will leave you to your creations! Have fun and don't let frustrations with color matching get you down again! Now you know where you can turn for help! Raining or Snowing? Waterfall anyone? I know, I know. Another post about Waterfall cards! I won't promise that it'll be my last one either because I have another idea up my sleeve! I have been working on some designs for the Waterfall class that I'll be having next week and wanted to share one of the designs with you. Have I told you yet how much I LOVE to make these cards?? They are so much fun! And, they are really easy too (I know, they don't LOOK like it!)! This card uses the Deco Designs set from The Angel Company (TAC), the Palette Inks and DCWV paper that are all available in the TAC catalog. I love this Deco Designs set! It is so hip and trendy and elegant. You can also see what the side-view of the finished product looks like partially open. That is why the name of the card is waterfall, because when you open it, it has the effect of water running down the side of a mountain. Even the imagery is beautiful! One of the nice things about these cards is that you can use them for any occassion. The sentiment on this one is referring to friendship. But, you could make the theme of your card birthday, baby, just because, sympathy, etc. If you wanted to attend this class but missed the RSVP deadline, give me a call (or email). I might still be able to fit you in! The Angel Company's Stamp of the Month program is back! 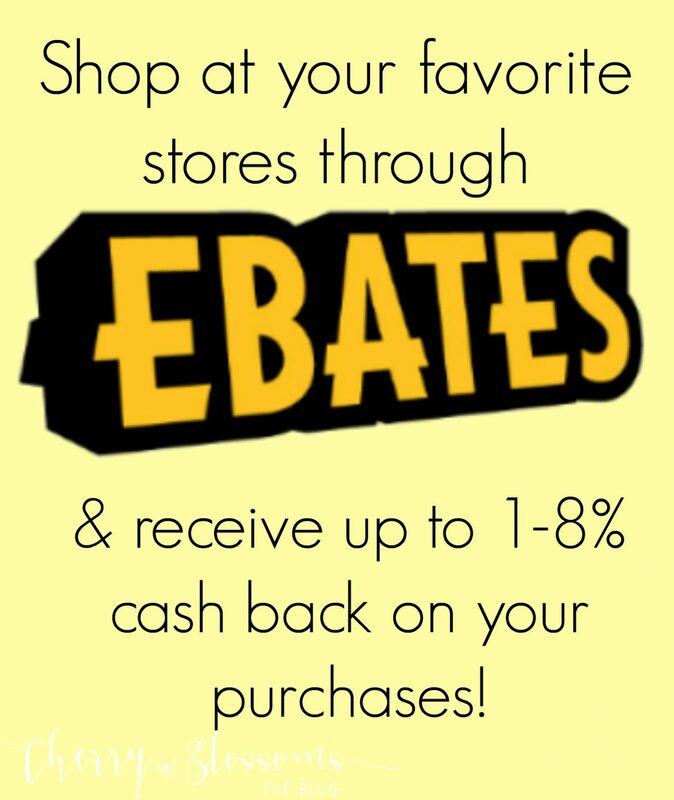 With a $30 purchase, you are able to purchase the featured Stamp of the Month. This is a stamp set that is not currently available in the catalog and can only be purchased for a one-month period. And, since this is a special promotion, you don't even have to pay retail value for the stamp set! I love this month's design called "Be Curious". 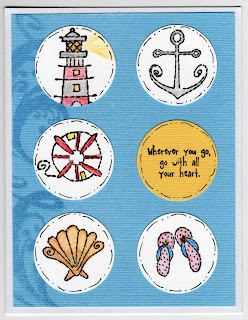 It is so sweet and perfect for those Spring & Summer cards and scrapbook pages! I love the image of the Momma daisy hugging her child. This stamp set can be yours for the low price of $6.95 with every $30 order. Your friends will love receiving a card from you that has these daisies on it! They won't be able to help but to smile!! If you would like to see ideas that have been made using this featured stamp set, click here. Waterfall Card & Altered Wood Block Stamp Class COMING SOON!! Also, don't forget that the Waterfall Card & Altered Wood Block stamp class is coming up! I need your RSVP by Wednesday, April 11th (but the sooner the better for me). If you would like more information about this exciting class, please refer to the post on my blog directly below this one. I am looking forward to a great time!